Upcoming Golden 1 Center performer Harry Styles was featured on James Corden's Carpool Karaoke on The Late Late Show this past May, 2017. Styles starts the drive by reminiscing on the last time he appeared on the segment before immediately belting out his very own, "Sign of the Times" with James Corden. The two share a few jokes in-between singing more of Harry Styles' hit songs. 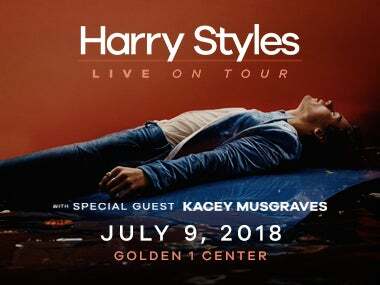 Check out the full video here, and don't miss out on Harry Styles live on tour at Golden 1 Center on July 9, 2018!